The company Segapal (Gestion des Espaces Publics du Rhône Amont) is a local public company of the upstream Rhône (SPL) responsible for the management and animation of the Grand Parc Miribel Jonage. SPL Segapal has signed an interested management agreement with Symalim until 2018. It employs 65 employees, divided into 3 departments (infrastructure / exploitation / development) and 2 divisions (environmental education and animation). It is responsible for the overall management of the site..
SPL Segapal is ISO 9001 certified. 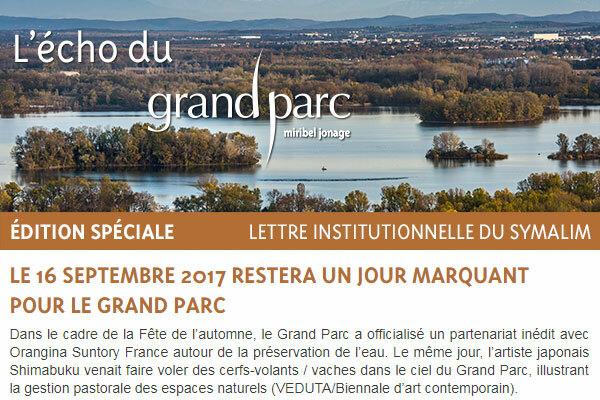 In 2009, the company celebrated its 30th anniversary... 30 years of existence at the service of the Grand Parc Miribel Jonage. 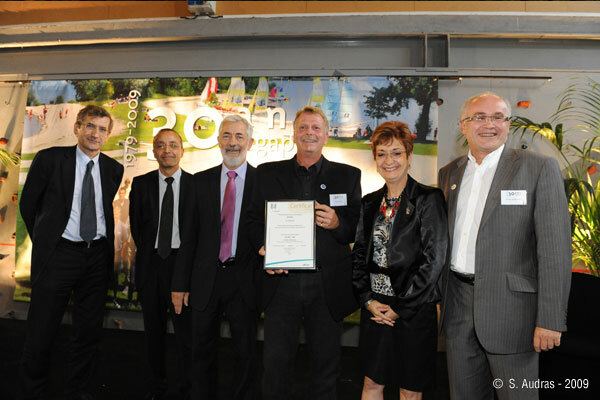 This day was notably marked by the awarding of ISO 9001 Certification to Segapal in the presence of all the staff, managers and partners of the park, Laurent Bechaux, Interregional Director of the SCET, Martial Passi, President of the Federation of Local Public Enterprises, Laurent Bechaux, President of the SCET, and Martial Passi, President of the Fédération des Entreprises Publiques Locales. • the development of economic activities (agriculture, gravel extraction, restoration...) on its perimeter. These various factors have led the Local Public Society to compose a real sustainable development project on the territory of the park. • maintaining an agricultural activity that takes into account the sensitivity of the environment. By achieving ISO 9001 international certification, the SPL Segapal aims to make its commitments legible and share its ambition with the park's partners, but also, internally, with its staff. At present day, the SPL Segapal manages Miribel Jonage's Grand Parc, the SPL Segapal also aims to broaden its field of competence and intervention. Expansion of the field of competence with new study missions and enlargement of its territory by wishing to become the animator and manager of a larger territory. The implementation of the ISO 9001 quality management system will accompany the company's evolution by encouraging the involvement and transversal nature of the services. The SPL is a new form of limited liability company, which consists only of local authorities or intermunicipal structures, whereas the SEM associates public and private shareholders. The SPL, which remains a limited liability company despite its 100% public capital, can only intervene in the territory of its shareholders and to the extent that they are project owners. The SPL's corporate purpose will be centred on the maintenance, management and supervision of public spaces. The territory of the Upstream Rhône, which has similar problems (water management, maintenance of public spaces, banks, canals, etc.) can strengthen its cohesion through a single management tool and achieve cost reduction by pooling resources. The local authorities or intermunicipal structures that have wished to participate in the capital of this local public company are planning to entrust, on their territory, missions to the SPL.